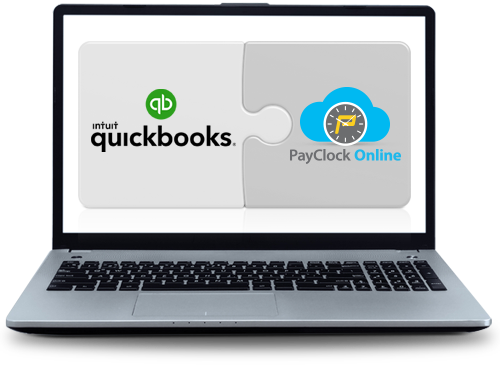 PayClock Online software with a Lathem time clock provides the ideal time clock app solution for businesses that use QuickBooks Desktop or QuickBooks Online. Track and record your workforce's time with a variety of employee time clocks or with PayClock mobile smartphone time clock app. You can choose from touchscreen proximity badge scan time clocks to foolproof fingerprint reader and employee face recognition biometric time clocks that eliminate buddy punching. Lathem has a long and successful history as a developer of QuickBooks time tracking solutions. 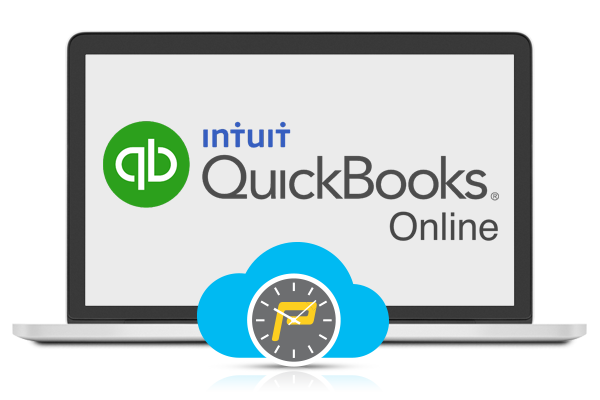 We were the first employee time tracking and attendance solution to develop integration with Intuit QuickBooks back in 2001. 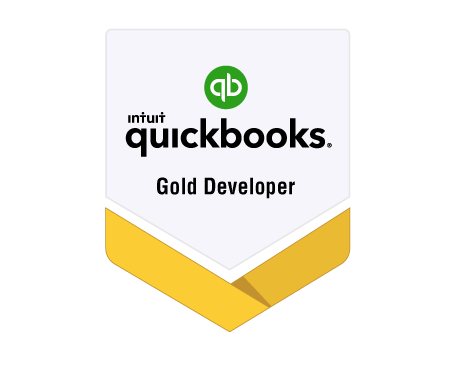 As a Certified QuickBooks Gold Developer we designed PayClock Online's integration with QuickBooks to be seamless and automated, so you never have to enter data twice. 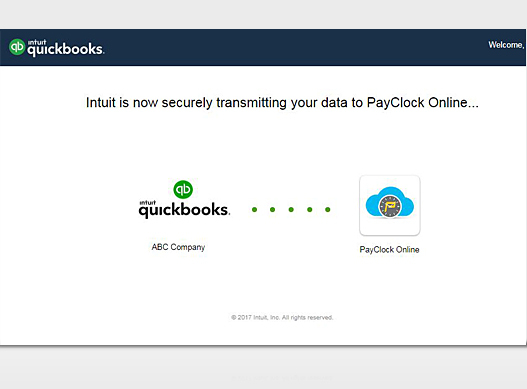 Your new or edited employee information in QuickBooks updates in PayClock Online automatically. 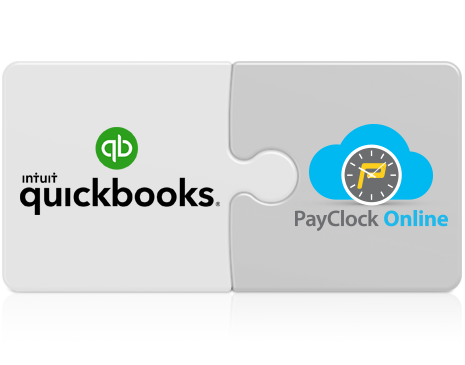 QuickBooks payroll items auto synchronize to PayClock Online pay codes. Employee payable hours are automatically transferred to the employees' timesheets in QuickBooks for payroll processing. 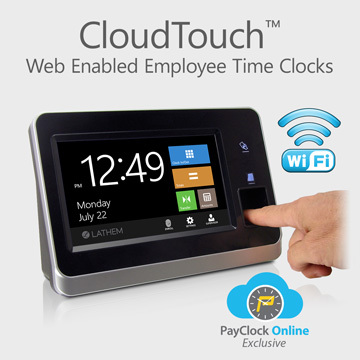 "The PayClock Online time clock system is very easy to use. Adding employees and synching to QuickBooks makes payroll a breeze. We love it." 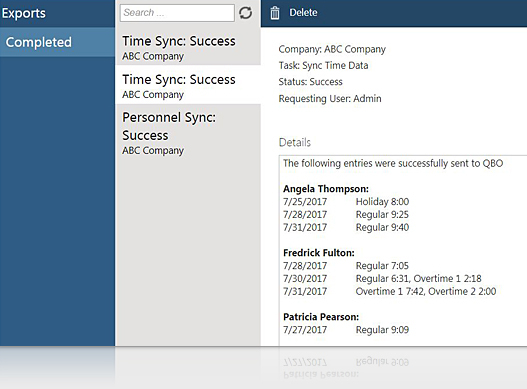 The QuickBooks Online Wizard built into PayClock Online let's you synchronize employee worked time and company data both ways between your QuickBooks Online and PayClock Online employee time and attendance software. As a result, processing employee timesheets at payroll time is fast and easy.